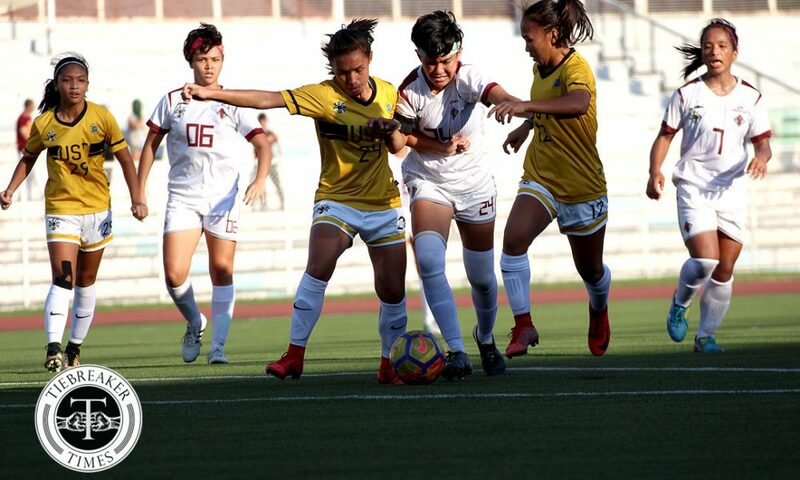 The University of Santo Tomas Lady Booters ended the first round with a 3-2 victory over the University of the Philippines Lady Maroons, Saturday afternoon at the Rizal Memorial Stadium in Manila. An eventful first half ensued between both teams. 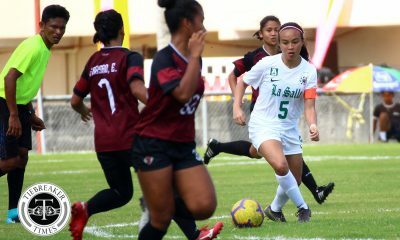 State U broke the deadlock a minute into the match when Red Sajonia’s cross was turned in by Blessie Perez. 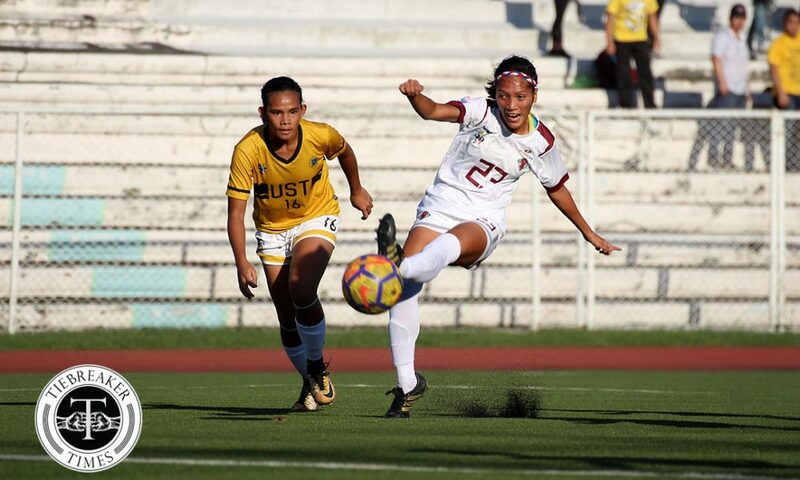 It was the best possible start for the Lady Maroons, although the Lady Booters weren’t unsettled by the goal and responded quickly. 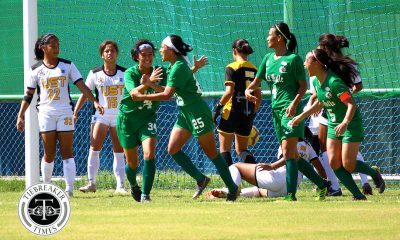 A free kick by Hazel Lustan in the 6th minute of the match leveled the proceedings for the Lady Booters. 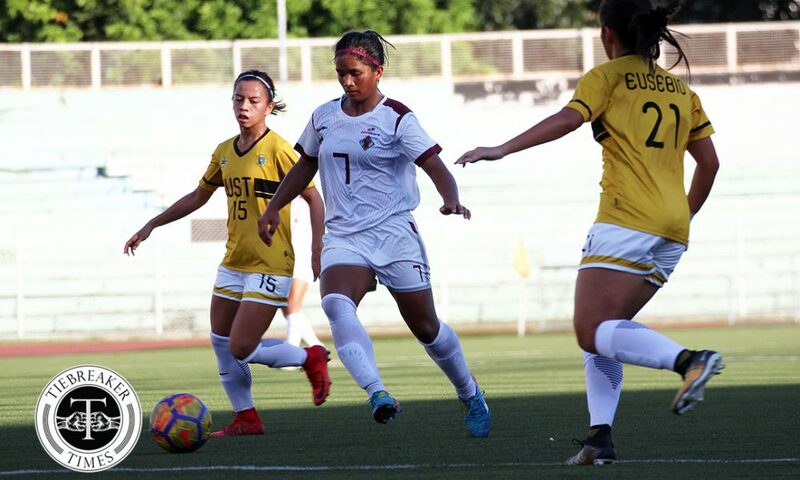 Controversy then ensued as UP team manager Steph Permanes was ejected from the Lady Maroons dugout, as he was caught talking to someone via his cellphone. FIFA rules state that “The use of any form of electronic communication by team officials is not permitted except where it directly relates to player welfare and safety”. 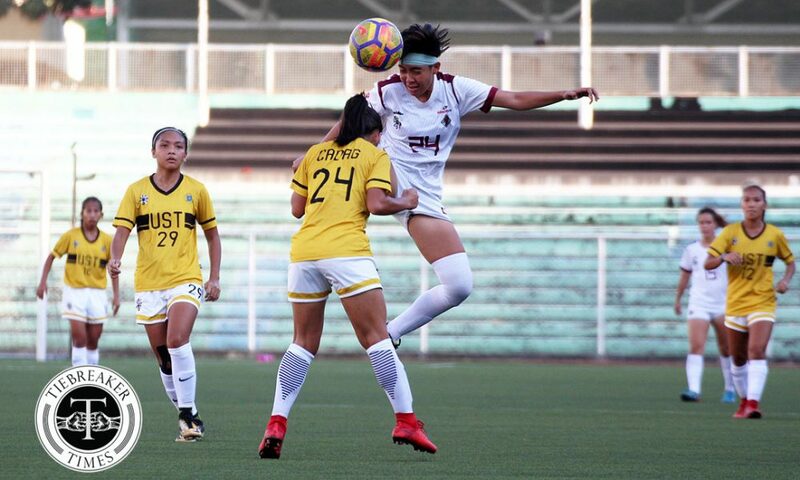 With Permanes ejected, things were about to get worse for UP. 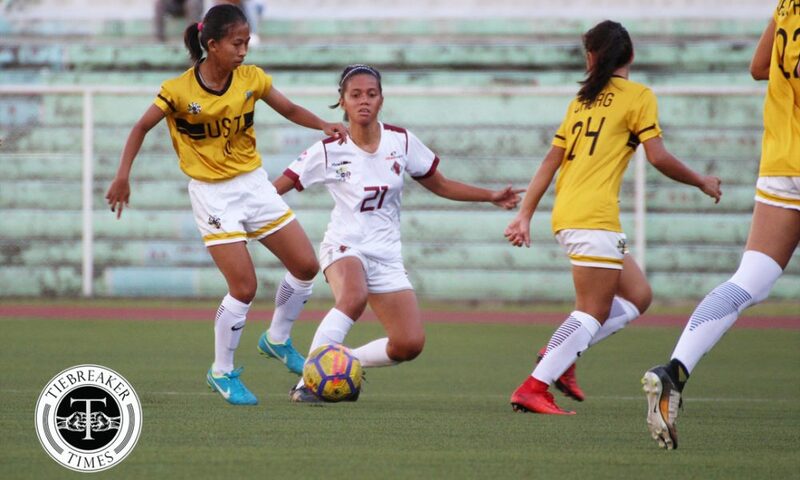 With the first half set to close, UST were able to get their second goal of the contest. 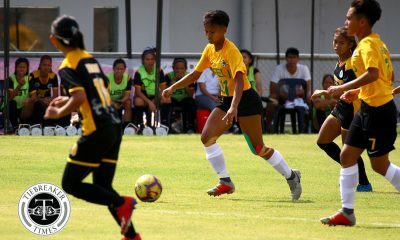 A quality strike from Mary Indac in the 39th minute was just rewards for the Lady Booters’ perseverance in the Lady Maroons’ half. Rubio’s players did not have to wait long to get a two-goal lead when they emerged from the dugout. 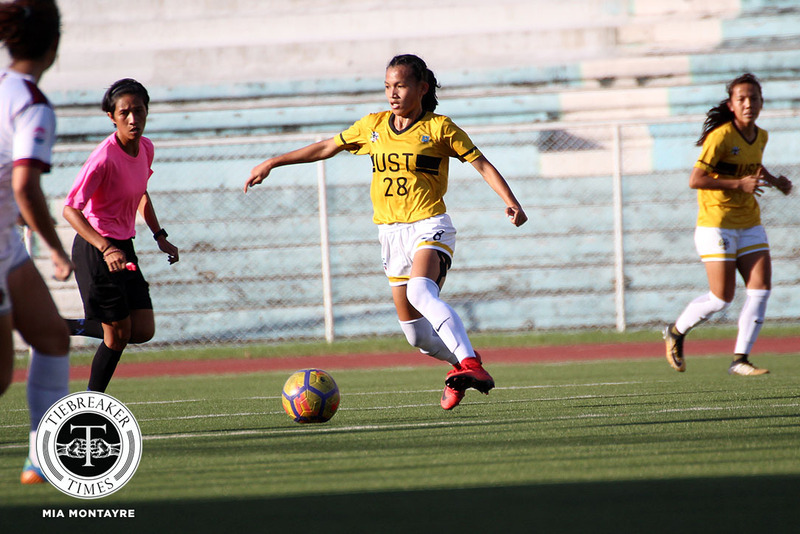 Mae Cadag shot from close range to hand UST a two-goal cushion almost immediately upon the contest’s resumption. State U, though, did not give up, and tried to force a comeback. Perez saw her header hit the post, and a goal was forthcoming for the Lady Maroons. 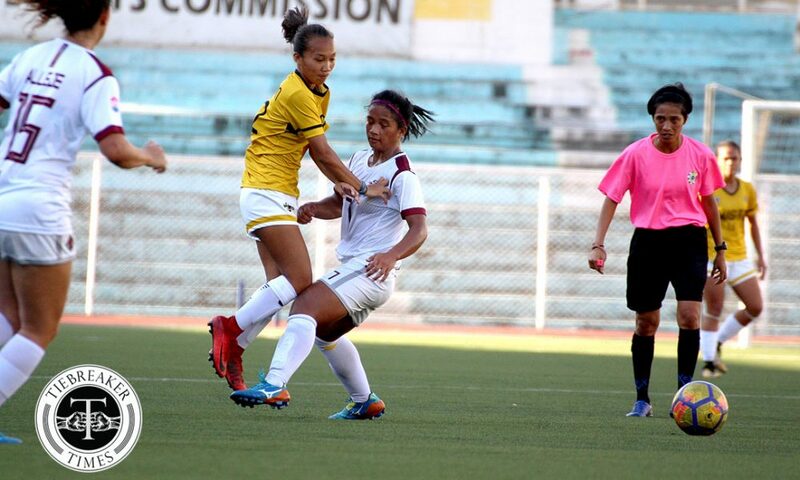 Substitute forward Alyssa Ube struck past UST forward to make it 2-3 with 12 minutes left on the clock. 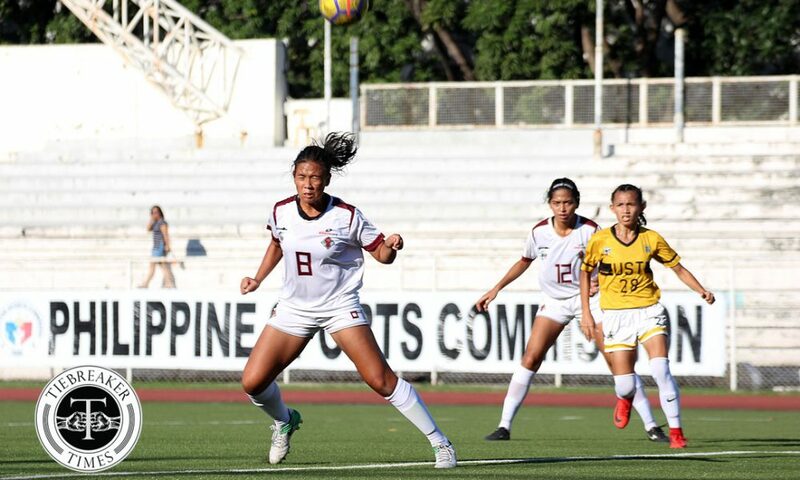 Despite being more aggressive, the Lady Maroons failed to salvage a point. 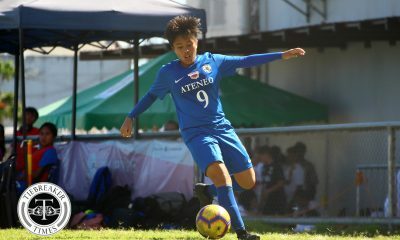 Mary Rose Obra was through on goal, but her attempt was easily caught by Reyes in the game’s dying stages. 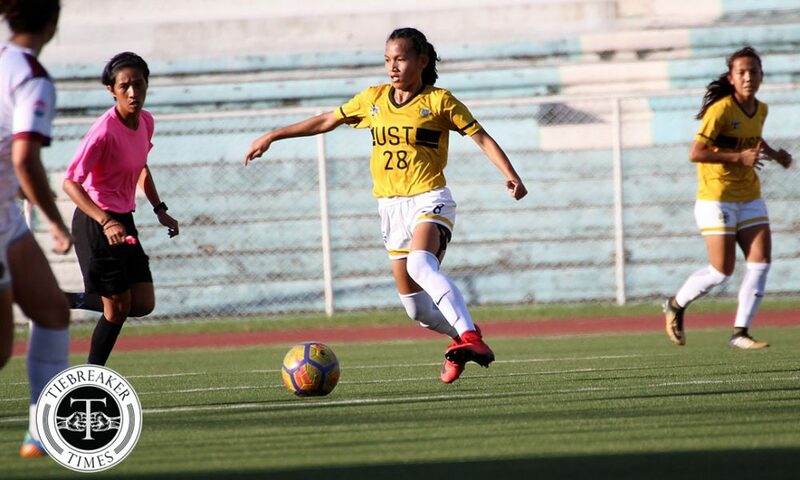 In the end, UST prevailed 3-2 over UP. “Masaya pa rin dahil yun naman yung in-aim namin na umakyat sa top two. So far sa tingin ko nandun pa rin kami (sa top two). Masaya pa rin. Maganda pa rin,” concluded Rubio. 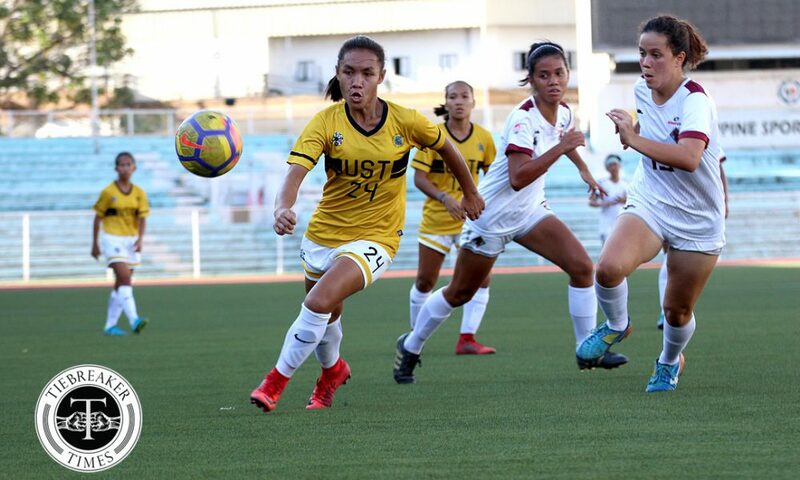 UST have no more games left for the first round, as the Lady Booters will have the bye for next week’s fixtures. 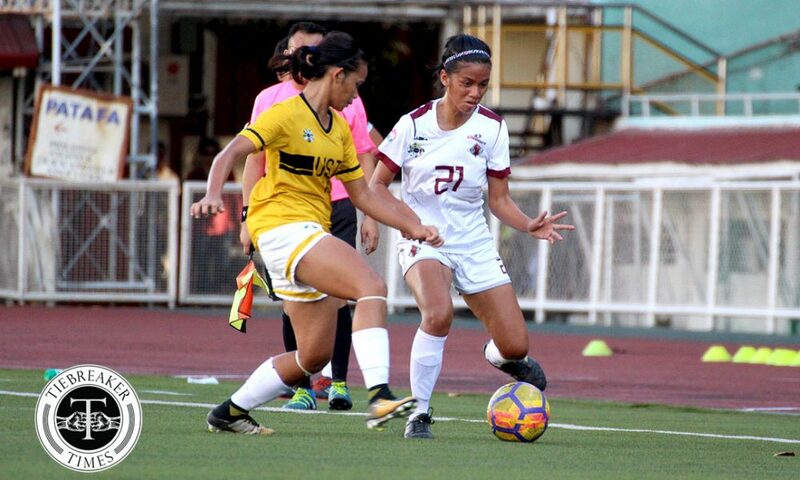 On the other hand, UP hope to get their first win against the Far Eastern University on February 24, 9:00 AM at Rizal Memorial.